It is Sunday and man do I have a challenging Sunday Request! @sullybaseball MT jtomase: Sergio Romo is out as Giants closer. 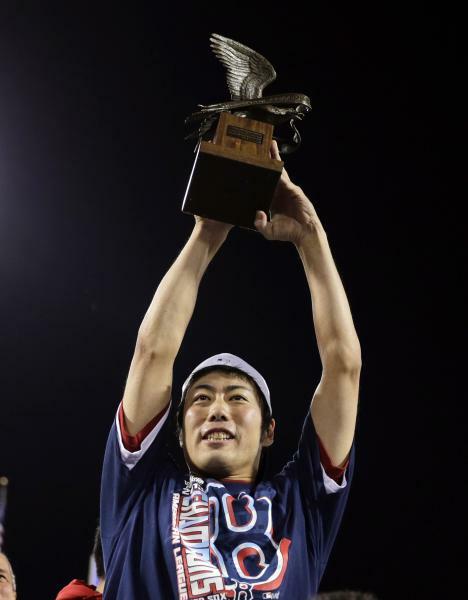 If you’re GM Brian Sabean, don’t you at least think about inquiring on Koji? Should the Giants do it? Should the Red Sox pursue it? It is a tougher decision than you would think when you consider how quickly closers flame out! I take on the challenge on The Sully Baseball Daily Podcast. Matt Garza, Casey McGehee, Chris Archer, Nelson Cruz, Homer Bailey, Yasiel Puig, Jose Quintana and Danny Valencia all added to their totals for Who Owns Baseball. This entry was posted in Uncategorized and tagged 2013 ALCS, 2013 Boston Red Sox, 2013 World Series, 2014 Boston Red Sox, Brian Wilson, Jason Motte, Koji Uehara, San Francisco Giants, Sergio Romo. Bookmark the permalink.